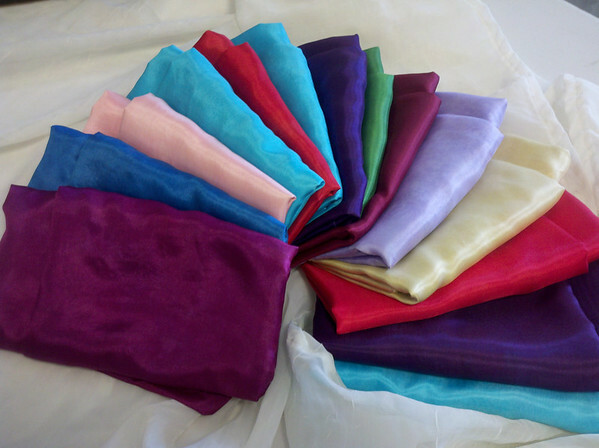 Fairy Cove Silks only makes 100% silk products. Even our chiffon and gauze weight fabrics are real silk! When you see other online products being sold as "synthetic silk" or "acrylic silk," what you are seeing are cheap good and distributors who are using incorrect terms. Those terms are leftover from when nylon and acrylic were introduced in the 1940s, and these products were marketed to replace natural products for their easy care. The terms "synthetic silk" and "acrylic silk" are out-of-date and misleading. Fairy Cove Silks uses ONLY real silk products, and we disclose the weight, weave, and quality of the silk we use on all our products to enhance customers education and fabric quality awareness.